A digital twin is defined as a … “pairing of virtual and physical worlds [that] allows analysis of data and monitoring of systems to head off problems before they occur, prevent downtime, and even plan for the future using simulations.” (Forbes, 2017). As such, a digital twin’s potential in improving urban operations, efficiencies and resilience are far-reaching. There is a great deal of interest in Smart City Digital Twins in academia, industry and government. The summit allowed Georgia Tech professors and researchers to share ideas, identify synergies and opportunities for collaboration, and discuss how through their combined efforts they can establish a leadership role in the formation and development of this new interdisciplinary field of inquiry. The Summit’s morning session focused on the Georgia Tech Shenzhen Smart Campus as Dr. Perry Yang from the School of City and Regional Planning discussed integrating campus design and engineering systems while two panels discussed campus design and campus systems research. Following the discussion was a poster exhibition on the GT Shenzhen campus concept plan. 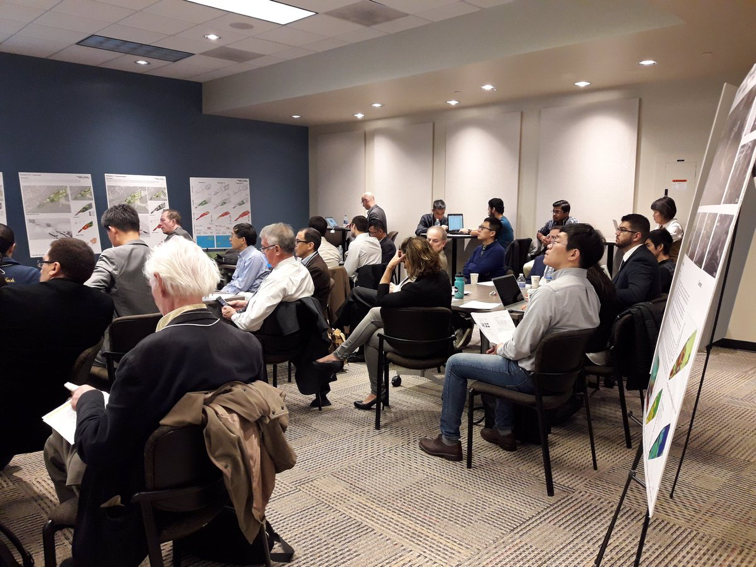 Professor John Taylor from the School of Civil and Environmental Engineering and Debra Lam, Managing Director of the Smart Cities and Inclusive Innovation Initiative, introduced the Smart City Digital Twin afternoon session. Professors Pardis Pishdad-Bozorgi, Tarek Rakha, Dimitri Mavris, and Dennis Shelden discussed their Digital Twin work in platforms and systems architecture. Next, professors John Taylor, James Tsai, Mike Hunter, Perry Yang, and Subhro Guhathakurta discussed Digital Twin implementation and applications. 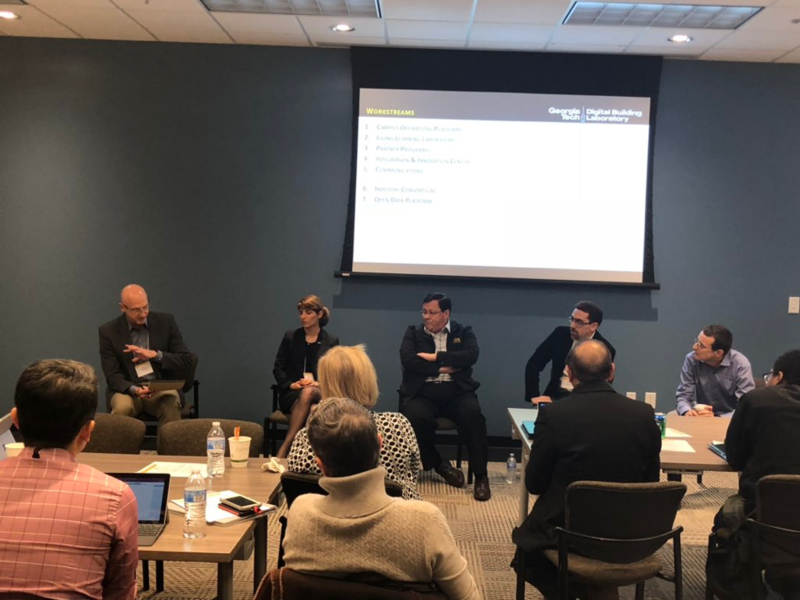 The summit wrapped up with a Q&A session discussing how Georgia Tech can best capitalize on its wealth of expertise and activity to lead the groundswell around Smart City / Digital Twins.